As we continue our third of nine posts in the Fruit of the Spirit series, we are focusing on joy. Merriam Webster defines joy to experience great pleasure or delight. Joy is not the same as happiness. Happiness is an emotion and is dependent on our circumstances. We experience joy apart from our circumstances; joy is an attitude of the heart. Read further to learn how to develop joy in your marriage. Staring at the huge display over the Nissan Stadium scoreboard Asuka Hayes is awestruck. It’s halftime at the Titans game. Asuka and her family are being honored for their sacrifice and sharing long-distance Christmas wishes with her husband who is currently serving in Afghanistan. Quietly a golf cart pulls up behind Asuka and her two children. The audience—close to 70,000—stands and begins wildly applauding. Staff Sergeant Larry Hayes leaps out and embraces his family. It takes Asuka and the kids a minute to comprehend. Daddy isn’t up on that screen, live-streaming from a battlefield 7,500 miles away. He’s home for Christmas! This is what joy can look like. Joy can also come from a very different place—a doctor reports the cancer hasn’t metastasized; a daughter calls to say she wasn’t on the bus that wrecked; a job won’t be eliminated after all. For most of us, joy is relative. Sometimes joy results from an amazing high, other times its due to a narrow escape. Joy can come and go. But as the second fruit of the spirit (Gal 5:22), joy is a barometer of our faith. When we are joyful, we reflect God’s love for us. “Joy is the infallible sign of the presence of God,” wrote philosopher Pierre Teilhard de Chardin. If we are in the Spirit, joy should be a regular part of life. 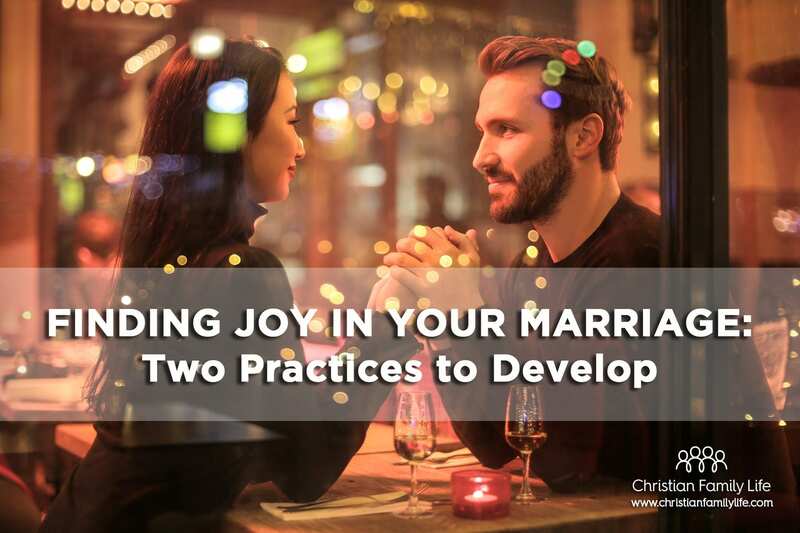 Developing joy takes practice in marriage. After all, reflecting God’s image and helping others see the Gospel is the second purpose for a Christian marriage. How do we stay joyful when our spouse disappoints us? Is it possible to show joy when confronted with the reality of our sin and failings? Can we have joy when life turns out differently than we hoped? 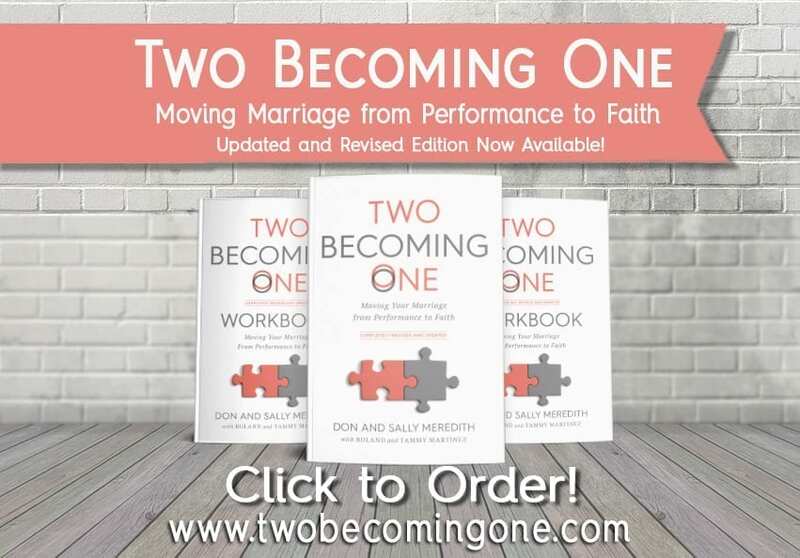 Two means are especially helpful for finding joy in your marriage: practicing thankfulness and keeping perspective. As long as thanks is possible, then joy is always possible. Whenever, meaning—now; wherever, meaning—here. The holy grail of joy is not in some exotic location or some emotional mountain peak experience. The joy wonder could be here! Here, in the messy, piercing ache of now, joy might be—unbelievably—possible! The only place we need see before we die is this place of seeing God, here and now. Practicing thankfulness in marriage begins by being grateful for your spouse. According to Scripture, our spouse is a perfect provision, our gift from a loving God who knows precisely what we need to be blessed in our marriage and to grow closer to him. The Bible also tells us that “every good” and “perfect gift” is from God (James 1:17). Your spouse is something to be thankful for—even if at times it’s hard to believe! Focus on God and his promises, not your mate’s performance or shortcomings. 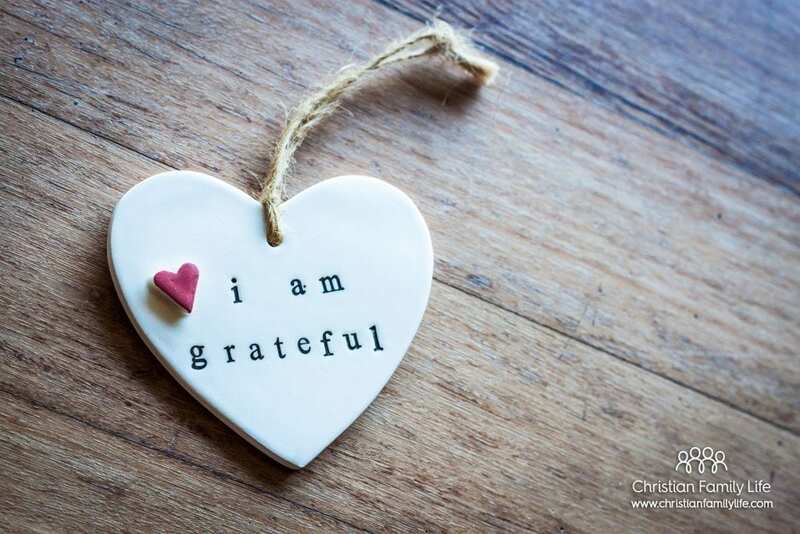 Take time to recall the qualities you love and thank God. Have you ever met someone who exudes the joy of the Lord? The one who doesn’t allow any situations to get her down? She is a person who practices thankfulness. “Rejoice always, pray without ceasing, give thanks in all circumstances,” wrote the Apostle Paul, “for this is the will of God in Christ Jesus for you” (1 Thessalonians 5: 16-18). Thankfulness in your marriage is cultivated. Pray. Read Scripture. Focus on God and his promises. Avoid sources of discontent. Remember that when you are feeling ungrateful, or like a victim, it can be a sign that you are not walking in faith but in fear. “The closer you live to God, the smaller everything else appears,” writes Rick Warren in The Purpose Driven Life: What on Earth am I Here For? 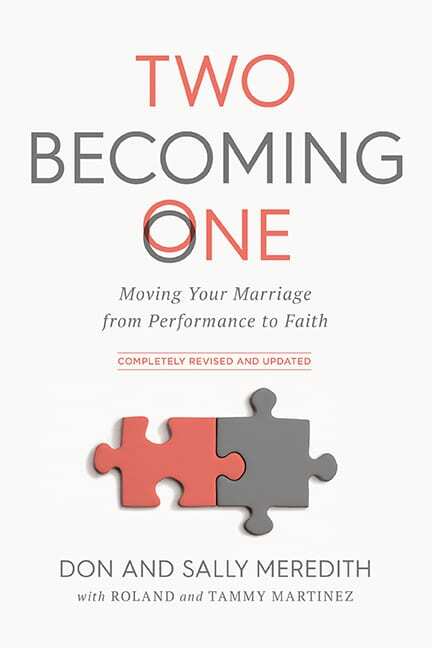 Developing the right perspective—being God-centered—is another approach to develop joy in your marriage. If your perspective begins with you—your rights, your needs, what you believe you’re entitled to—you will not be able to develop abiding joy in your relationship. The Christian journey is one of sanctification that moves us away from our selfish desires of the flesh to an unselfish love for others. This takes the power of the Spirit and is not natural to us. So often as married couples, we live in the moment and are easily disappointed. Small issues take on too much significance, simple slights morph into character assaults, shortcomings seem insurmountable. Why worry about changing our behavior when we can focus on an imperfect spouse right in front of us? This mindset limits joy. It indicates a need to correct our perspective. How do we develop a God-centered perspective? Spending time in the Word is very important. Prayer can’t be underestimated. Serving those less fortunate also helps to take our eyes off ourselves. Ultimately, joy comes from serving others, being close to our Creator and examining the model of Jesus. “Measured against eternity, our time on earth is just a blink of an eye,” says Rick Warren, “but the consequences of it will last forever.” It is possible to develop joy in our lives and in our marriages. As followers of Christ, we are given the tools to do so. The question is whether or not we choose to do so.